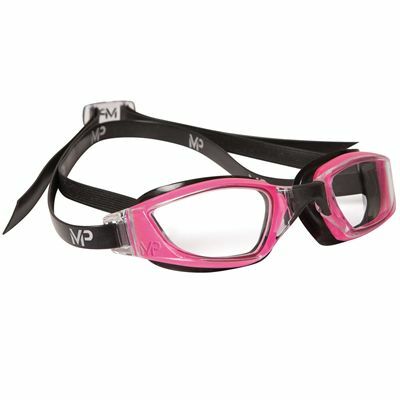 With a remarkable hydrodynamic structure granting a 180-degree peripheral sight for a clear and comfortable swimming experience, the MP Michael Phelps Xceed ladies’ swimming goggles have a special Softeril® micro-gasket to prevent water leakage during underwater action, as well as a firm secure fit. There is also a supreme anti-fog coating to eliminate excessive steaming up that can cause unwanted cloudy vision when emerging from the water. Great UV protection ensures convenient, confident and safer swimming during practice or outdoor competitive races. Furthermore, with an easy to replace interchangeable nose bridge, the goggles are extremely light and highly resilient, plus they include an EZ-Adjust Buckle system ensuring a brilliant, personalised fit. for submitting product information about MP Michael Phelps Xceed Ladies Swimming Goggles - Clear Lens We aim to answer all questions within 2-3 days. for submitting product information about MP Michael Phelps Xceed Ladies Swimming Goggles - Clear Lens. We aim to answer all questions within 2-3 days. If you provided your name and email address, we will email you as soon as the answer is published. for submitting product review about MP Michael Phelps Xceed Ladies Swimming Goggles - Clear Lens.